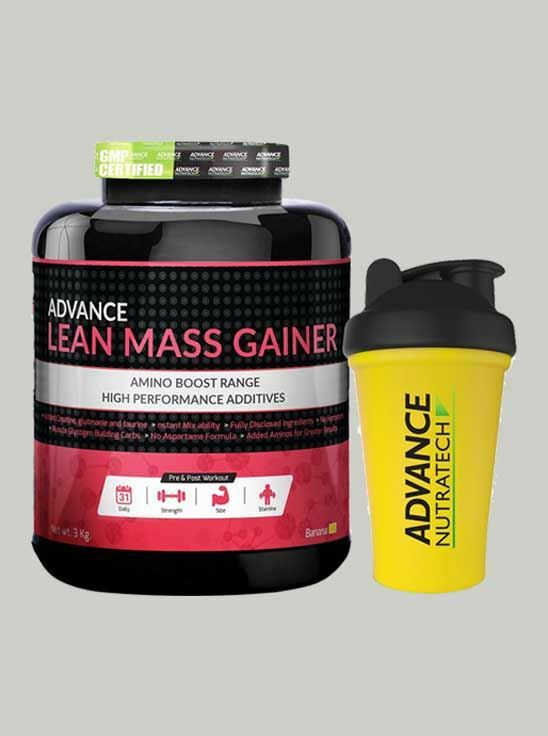 If you are one of those people who has forever been teased for being skinny, no matter what you eat you don’t seem to gain muscles, then, Advance Lean Mass Gainer is the product just for you. Lean Mass Gainer serves as a mass gainer specially designed for protein supplement for men and women. It is perfect for anyone who wants to add muscle mass, but at the same time avoid unnecessary body fat. It contributes to the growth of muscle mass. It has instant mixing ability that forms a creamy shake available in two delicious flavors: chocolate and banana. It has added CGT Amino for greater results. With fully disclosed ingredients we at advance Nutratech guarantee to provide you with the best and the purest stuff.